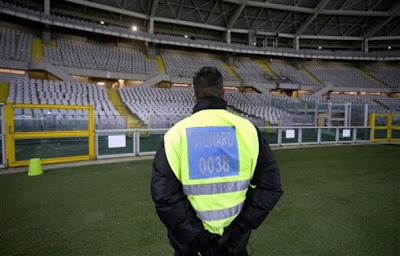 If you read last week's post, you're aware of the racism situation in Turin, Italy. 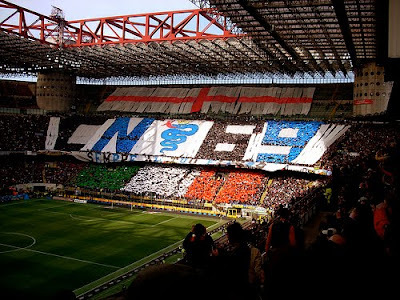 To quickly recap, one of the world's most successful clubs, Juventus, had its fans in a section of their stadium suspended for a game against Roma this past weekend because of racist chants directed at an Inter Milan player. 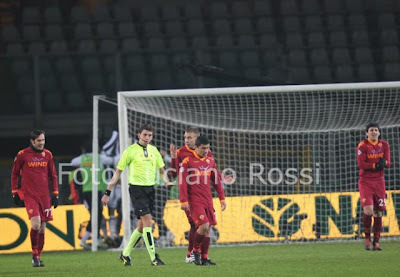 So, how was that issue covered in the recaps of the Roma-Juventus game? Eh. ESPN's Soccernet game report didn't even mention it. Neither did Goal.com. I still maintain that the bigger story was the exclusion of fans from an entire quarter of the stadium. Juventus coach Ciro Ferrara celebrates the game's opening goal. His team went on the lose the game 2-1 and his job is now in jeopardy. 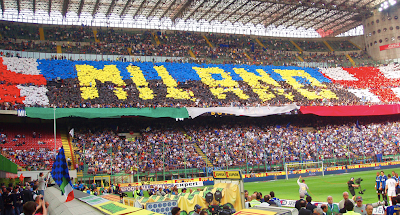 There's nothing quite like a soccer game in Milan. Thankfully, this time around, Juve fans won't be there to spoil the "beautiful game." I'll be sure to keep you updated. Do you think suspending the fans was the right course of action? I think it was the absolute least that they could do and still feel ok about taking action. It's a reactionary response, right? It's just one or two games and a fine for the club. So how is that going to solve the problem over the long term? Is there any way of knowing whether Juve ultras will resume these racist chants at the next game? I just don't think suspending fans is the only thing they can do. I think the team and the league could go much farther with awareness programs and calling attention, globally if necessary, to the actions of these fans.